I’m now accepting requests for BOUND BY BIRTHRIGHT ARCs. If you fill out the form, I will get the book to you as soon as possible. After that, I will email you the beginning of June to remind you to post your review. Please let me know if you have any questions. If you enjoy reading my books and writing reviews, now is your to be added to the list of those who receive ARCs (Advanced Reader’s Copy). Because I know many of you sign up for individual book reviews when they come out, I thought I’d streamline the process for us both. Having a blog definitely helps, but is not required. It is expected that you leave an honest review on at least one of the following sites, preferably more than one: Amazon, B&N, Goodreads, you blog. To those who sign up, THANK YOU! I love being able to share my books with you before they are available to the general public. Feel free to skip to the bottom to see the reveal (I know you want to) otherwise, enjoy thoughts on the cover choices. Voting on the two cover choices this past week has been so much fun. 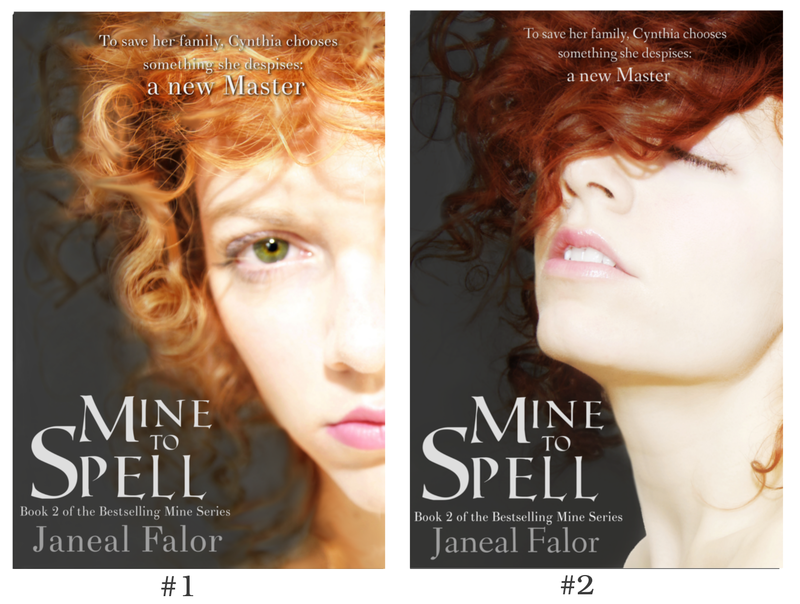 When I realized there were two different cover choices for the second book the YA Fantasy Mine series, MINE TO SPELL, I was very torn not knowing which way to go with them. Once I decided to let you guys vote on it, I thought it was going to be fun. I was wrong. It was a blast! I loved seeing what you choose and what thoughts you had behind the choice. If you haven’t read them, definitely go look through them. And while I agreed with most of what you guys had to say, there can only be one win and that winner is the one with the most popular vote. When I was looking for images for Cynthia, I found the model in both of these covers (yes, it is the same exact girl). As soon as I saw her I knew she was who I wanted to portray Cynthia on the cover. Finally! (seriously, I looked for the right cover image for about 9 months and at one point even tried hiring a cover artist) Everything about her, especially the curly, everywhere hair is spot on to who Cynthia is. #2 which I fell in love with the moment I saw it. All the longing, hair, freedom, and energy in it, is Cynthia. And there gets to be a certain point in the book where it’s even more her. But then there was still #1 that also was her. I asked family, friends, critic partners, and the results? Still pretty split, all for different reasons. So, the vote happened. I’m thrilled to have all of you a part of the process. Thank you so much for all who voted. The final count is about 25% for one and 75% for the other, though many admit to liking both so hopefully your pleased with the outcome. Thanks for helping me pick a cover! Let me know your thoughts on the winner in the comments! Just a reminder, to any reviewers who haven’t signed up to get an eARC of MINE TO SPELL, you can still do so. ARCs will be going out in 1 – 2 weeks. Just over 2 months until MINE TO SPELL is released! I’m getting really excited for everything to come, especially the next thing to happen: finding out which cover you guys pick! It also means ARCs are almost ready. If you are interested in reviewing MINE TO SPELL, I’d be super grateful! The book should be ready in the next three or so weeks. Doing sign ups a little earlier to help with planning, but I hope to get the eARCs as soon as I can. 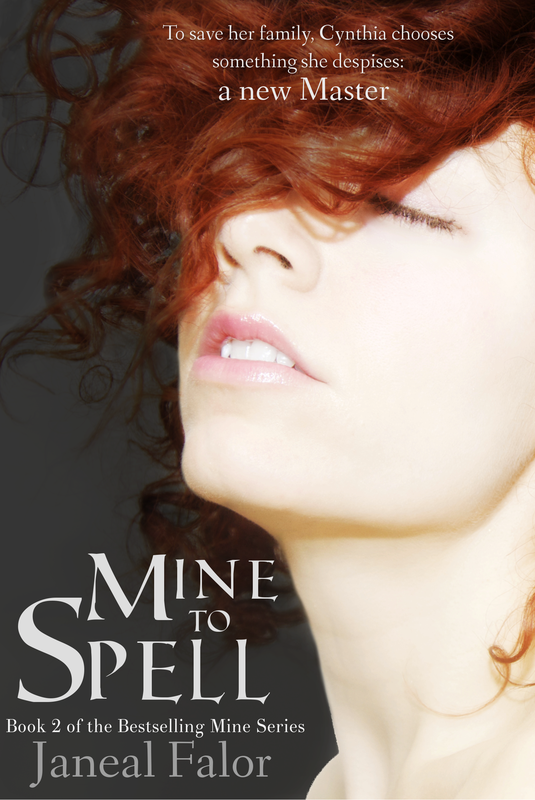 If you are a reviewer that hasn’t read YOU ARE MINE or the prequel, MINE TO TARNISH, but would like to I’m also willing to provide review copies of it. Just email me and let me know which ebook format you prefer. Plus something extra! Because I love extra prizes, more will be given away if more people add YOU ARE MINE to Goodreads. That’s right! I’m going to giveaway more books the more people that are interested. Last I checked it was at 48 adds, so I know we can push it to get extra eArcs given away. Goodreads adds = 100 I’ll giveaway 5 eARCs! Also, if it gets to a total of 100 adds on Goodreads I’ll squeal and do a happy dance that my kids will laugh at. Honestly, I’ll do the same if it reaches 60, but if it gets to 100 it will be all the crazier. 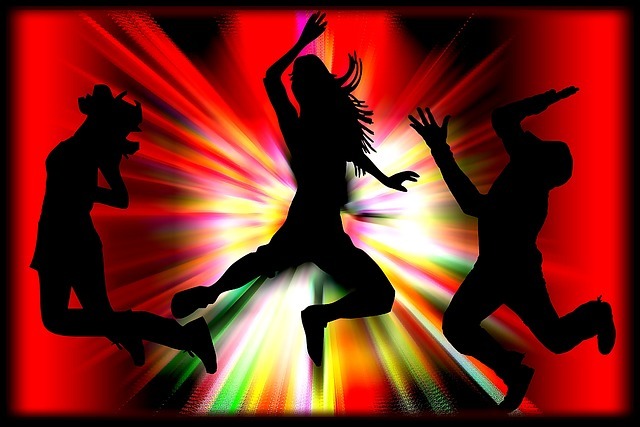 My happy dance if it reaches 100 adds on Goodreads. How can you enter? A couple ways. You can earn entries by already having it on or adding it to Goodreads, plus you can tweet, share, post it on your blog, recommend it to your friends on Goodreads, or otherwise mention it online for an entry every day. And you can do that two different ways every day for even more bonus entries. Closes Thursday at Midnight, so let’s see how many adds we can get in four days! Please Note:Open internationally! Must be 13 years or older and be legally able to win. If you have any thoughts/questions, feel free to leave a comment! And thank you, thank you, thank you for all your help and support!